In his recent decision in the case of Marion v. Lukaitis, No. 11-CV-7451 (C.P. Lacka. Co. Aug. 15, 2013 Minora, J. ), Judge Carmen D. Minora of the Lackawanna County Court of Common Pleas held that a Plaintiff was allowed to have counsel present during the first two components of a neuropsychological examination. However, the Court ruled that, once standardized testing began, a Plaintiff was precluded from having a third party present. As such, Judge Minora took a middle road and the Defendant’s Motion for a Protective Order was granted in part and denied in part in this motor vehicle accident litigation. The defense in this matter also relied upon Pa. R.C.P. 4012 which allowed a party to request from the court, for good cause shown, any order with justice required to protect a party or person from unreasonable annoyance, embarrassment, oppression burden, or expense. In order to accommodate both Rules 4010 and 4012, Judge Minora chose to allow the Plaintiff’s counsel, or a designated representative of the Plaintiff, to be present during the first two components of the neuropsychological examination involving a review of the Plaintiff’s records, medical history, and background information. However, once standardized testing began, the Plaintiff was precluded from having a third party present. The court also held that audio or video recording of the standardized testing portion of the examination would be prohibited as well. 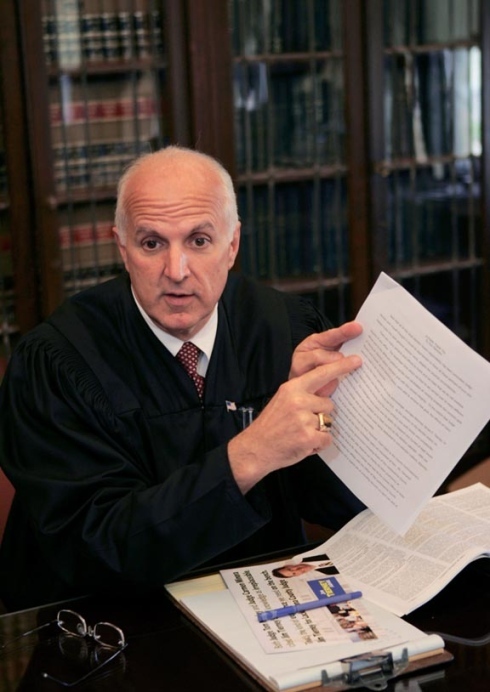 Anyone wishing to review Judge Minora's Opinion in the Marion case may click this LINK. The Tort Talk blog post on Judge Wettick's decision in the Rotunda case on the same issue can be viewed HERE. Source: "Digest of Recent Opinions," Pennsylvania Law Weekly (September 10, 2013). Source of Cartoon: "The Far Side" by Gary Larson.